Synopsis : 'There’s a lot that doesn’t bear thinking about. 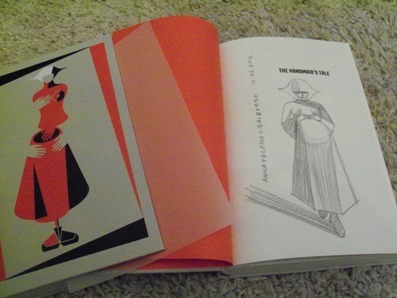 Thinking can hurt your chances, and I intend to last.’ Narrator Offred is a Handmaid serving the Republic of Gilead – formerly part of the United States. Her role is to bear children for her Commander, whose wife is unable to conceive. If Offred refuses, she will be hanged or sent to die of radiation sickness in the Colonies. Yet she can remember a different life, when she had a home, a husband, and – most agonisingly – her own child. 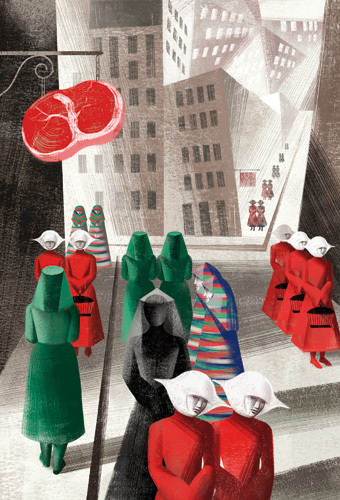 Asked whether her book could be classed as science fiction, Atwood replied: ‘Science fiction has monsters and spaceships; speculative fiction could really happen.’ First published in 1986, The Handmaid’s Tale was inspired by contemporary Western fears about falling birth-rates as well as by religious fundamentalism both in the West and East. It was a critical and popular success, launching its Canadian author on the international stage. It won the Governor General’s Award for Fiction, one of Canada’s most prestigious literary prizes, and the inaugural Arthur C. Clarke Award for science fiction as well as being shortlisted for the Booker Prize. 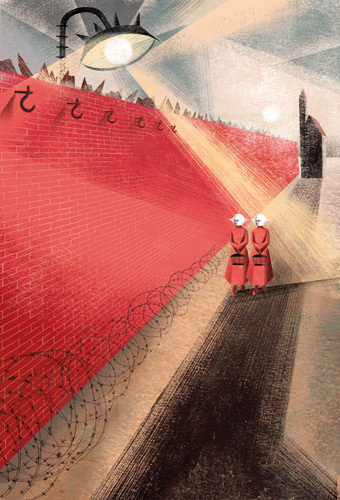 Anna and Elena Balbusso’s stunning illustrations skilfully highlight the regimented and hierarchical nature of society in Gilead. New introduction by the author. Illustrated by Anna and Elena Balbusso. Blocked with a design by Anna and Elena Balbusso. Frontispiece and 6 colour illustrations.